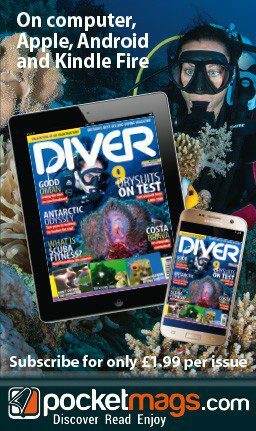 As the publishers of DIVER Magazine, Divernet and Divernet Xtra, Eaton Publications Ltd is committed to respecting the privacy of its users. However, we do collect and use various bits of information about you through your use of this website, and this policy sets out the basis on which your personal data will be collected, stored and processed. The data collector for this website is Eaton Publications Ltd, with its registered office, Suite B, 74 Oldfield Road, Hampton, Middlesex TW12 2HR, UK. Please note that this policy only addresses our activities, and other sites to which this website links may have their own privacy policies and practices, which we do not control. (b) when you wish to buy or utilise any of our products or services. (c) (if you make purchases) your credit card or other financial or payment details. (h) for producing statistics and other information relating to our business and the users of our website. We do however send emails from j2 Global Canada, Inc. our professional email provider. The emails will always provide value to the reader and the frequency is never more than four a month. Persons who do not wish to receive e-mail messages can opt out by clicking on the opt out link. Or you can contact us at data@divermag.co.uk . Diver Magazine supports the customer’s right to opt out. (e) if we are asked to do by any legal or regulatory authority, or if we believe that it would be proper to do so in connection with any legal or regulatory matter. Unless they are already legally bound to keep your personal data confidential, we shall enter into agreements with anyone to whom we disclose your personal data under (a), (b), (c) and (d) above obliging them to keep your personal data confidential. (b) Subject to the exception in point 4(e) above, we shall not supply your personal data to anyone else so that they can use it for their own purposes. The only time your email address could be transferred to another party is if that party actually bought the brand DIVER magazine in its entirety. This would constitute the third party actually becoming DIVER magazine. Eaton Publications Ltd is a company incorporated in England and Wales under Company Number 09894974. Registered Office: Suite B, 74 Oldfield Road, Hampton, Middlesex TW12 2HR, UK.